Did this herald a new beginning for cycling? If Paris is the most romantic city on earth, its familiar landmarks, bathed in the gloaming, were now rekindling a tempestuous affair. The Arc de Triomphe, illuminated against the night sky, the sequins on the maillot jaune shimmering as a gentle breeze drifted down the boulevard of broken dreams, it was easy to be lost in the moment. And what a moment. 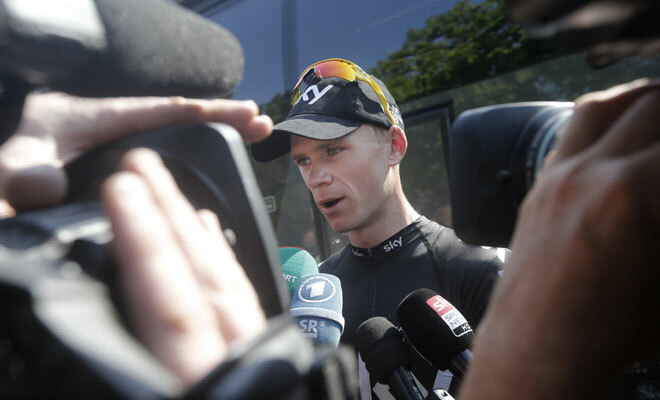 Chris Froome, a second successive British winner after a century in which les rosbifs failed to get it. An African heritage too, an inspiration to all those Kenyan children pedalling battered old mountain bikes on roads to nowhere. A time to look forward to a multitude of possibilities. The Tour de France is a venerable institution, so many cherished memories but so much it is desperate to forget. The podium oration of its latest champion struck a poignant chord. Standing the test of time; it is an expression grappling with its own limitations. “Allez, allez!” The bespectacled madman thumped his outstretched palm against the side of the car. His grey hair swept back off his face by the breeze as he stuck his head out from the open rear window of the hurtling vehicle, he shrieked encouragement for all he was worth. “Allez, allez!” The young cyclist alongside rode like fury, grimacing with the effort. Marc Madiot bristled with passion, pumping his fists as he realised the chasers were too far back. Thibaut Pinot raised his arms; relief, exhaustion, elation. The crowds at the roadside roared. 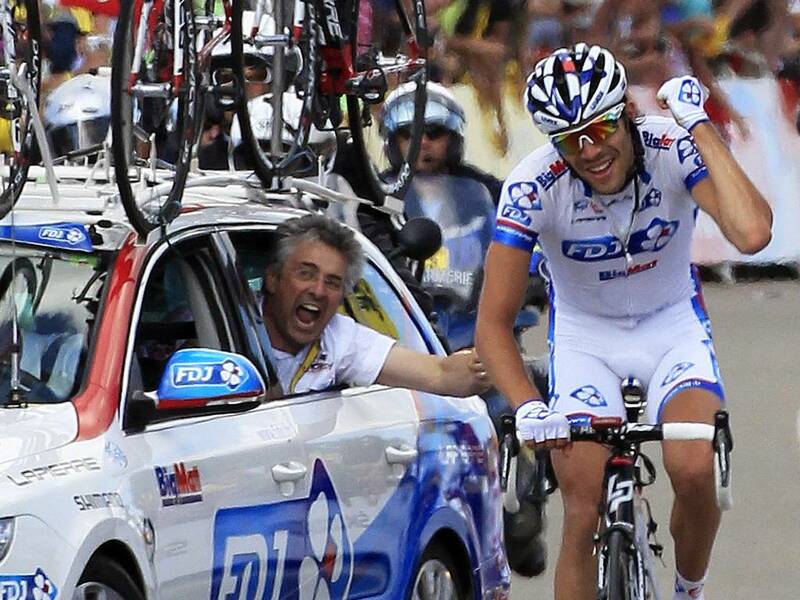 This is what it means to the French, and this was just a stage win. But we knew what they were thinking. Almost thirty years since Bernard Hinault rolled into Paris clad in yellow they had surely found his rightful heir. Again. The island of Corsica plays host to the opening stage of the Centenary Tour de France this afternoon and it may witness another milestone in the remarkable career of Mark Cavendish. Unusually, the event begins with a sprint stage in which, inevitably, the Manx Missile is the man to beat. Victory would allow him, for a short time at least, to sport the coveted maillot jaune, one extra memorable image for his retirement scrapbook. There are certainly no thoughts of packing in yet though, not when there are plenty more wins to be plundered as he closes in on the few names left above him in the all-time list for this great race. It’s not yellow but green which is his main focus, and though the points system allows for General Classification contenders to figure prominently in this competition too, the Brit has few peers when it comes to a bunch finish. Which begs the question, is a further collection of podium celebrations inevitable over the next few weeks, or does anybody have the quality to stick it up to him? Emerging through a curtain of snow, a shimmering pink just discernible as the visibility worsened, it was time to get down off the mountain before the weather closed in for real. 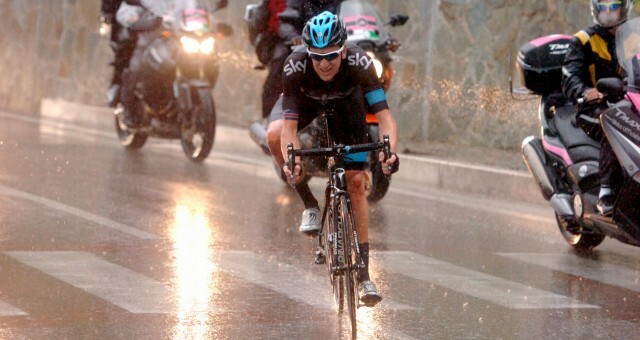 A remarkable Giro d’Italia finally had the image which would help cement its place in folklore. They will talk about it for years to come, not because it was closely contested, in the end it was nothing of the sort, but because it was so nearly blighted by the vengeful elements. Nearly, but not quite. The opaque backdrop had no great secret to offer up. From amid the gloom and bitter chill, it was the man who had shown the greatest resilience throughout. The maglia rosa hung on broad shoulders and now it was conquering nature itself. Vincenzo Nibali might have expected attrition. These are strange folk indeed who subject themselves to this. There are those who might regard a week in the Ardennes as a fairly relaxing way to unwind at the end of a hectic spell, and then there is the professional cycling peleton. Here, thoughts of taking it easy are anathema as the spring Classics campaign ends with a flurry of punishingly sharp climbs and a last chance to make a mark before attention diverts to the bigger stage races which punctuate the summer. When Dan Martin cruised across the finish line at Liège-Bastogne- Liège to secure the most satisfying moment of his career, he could reflect on a job well done. For others though there were pangs of frustration. Much attention has settled on Team Sky; some will have taken perverse gratification from the poor returns of their supposedly revolutionary preparation schedules. 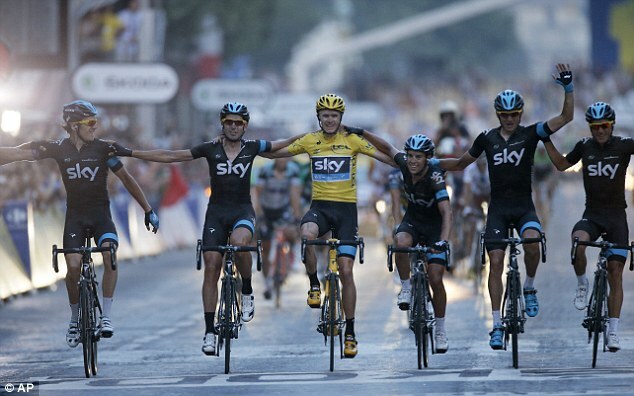 They may have to think again but they remain a squad essentially constructed around the Grand Tours. 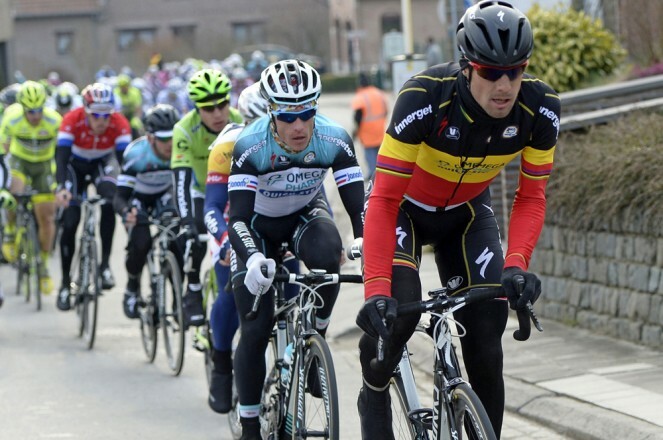 At Omega-Pharma-Quickstep however, emerging empty handed had not been considered an option. This was meant to be their territory, their roster expensively assembled and laden with expectation. So how come they too were left licking their wounds? Pain is a sensation which most of us shy away from. It is usually an unintended consequence, an indication of something having gone wrong. It is both physical and mental, and its forms are boundless. So why would you actively seek it? Why would you make a conscious decision to inflict upon yourself depths of suffering which bring scant likelihood of reward? Fabian Cancellara won a third Paris-Roubaix on Sunday; as his shattered body lay gasping for breath in the centre of the velodrome into which this gruelling race funnels its broken remnants, he at least had the exhilaration which made it all worthwhile. For the others there was only disappointment, despair and the bone-shuddering purgatory whose effects would take days to abate. But most will be back next year, and for those who won’t an emptiness will place its cold hand on their shoulder as they watch from afar. Hell was never meant to smell this good. Just How Good Is Peter Sagan? The hottest property in cycling at present is not British, but neither does he hail from one of the traditional heartland nations. He has the explosive power to take on the sprint nobility, and also the strength and acceleration to cause concern to the mountain high command. He has the agility and bike handling skills of a cyclo-cross maestro combined with the boyish enthusiasm and untrammelled aggression of the outsider, liberated from convention. 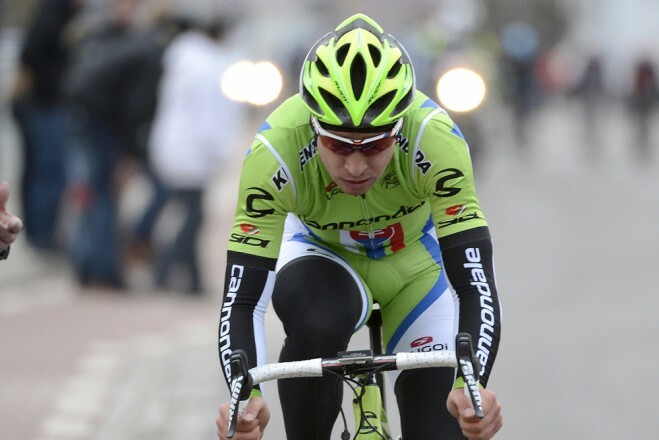 It is difficult to know quite how to pin down the sensation that is Peter Sagan. 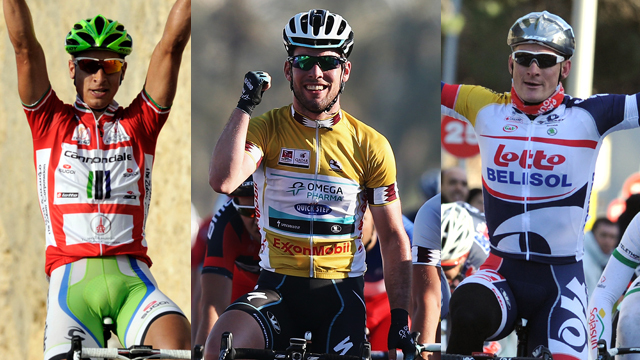 For some he is the complete Classics package, others feel he has the range of attributes to threaten in the Grand Tours. Is he all of these things, or is the sport simply so desperate for a new hero that it dares to draw comparison with the great Eddy Merckx before he is any of them? If the 104th edition of the Milan-San Remo was notable for heavy snow and freezing temperatures, at least its outcome left a decidedly warm glow. First across the line after an arduous day in the saddle was a rider wearing a jersey which represents hope in so many ways. Gerald Ciolek was an unexpected victor not through any lack of ability, though the promise he showed as U-23 World Champion has been largely unfulfilled, but because he achieved his success with a team from outside the top tier of the sport. That in itself would be significant enough were it not for the fact that the team in question, MTN-Qhubeka, is the first African registered squad to race at senior level, and this was only its second such event. Cycling, its public image battered by scandal, desperately needed a good news story. This is precisely the kind it dared to wish for.